The training centre is a new initiative of the company focused in skill development of personnel from the security industry. We have started our training schedule with one course “Understanding and use of security screening equipment viz., X-Ray machine, DFMD and HHMD”. We are the only company imparting this unique training program on skill development of security personnel. 40 hours of classroom training. 80 hours of on the equipment training. Refresher Course : 15 hours class room training and 30 hours on-the-equipment training required for refresher course, once every two years, to keep the certificate valid. To develop the skill in understanding and operating security equipments effectively, thereby increasing the professionalism of all enrolled personnel from the security industry. To increase the number of qualified, high caliber personnel who choose security as a career. To increase the levels of employee retention industry-wide, through value added learning. The policy of this centre is to promote excellence in understanding the principles and methodology of using security screening equipments thereby enhancing the skills of security personnel and development of their professional standards by imparting precise subject matter training and on the equipment training. 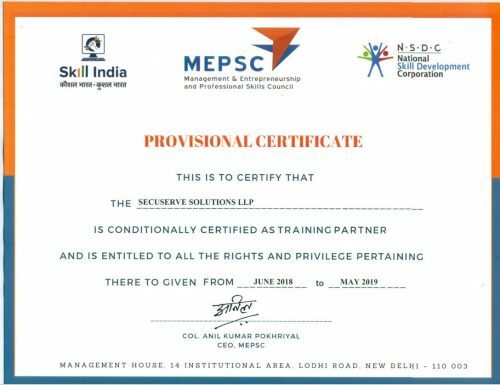 We are pleased to announce that based on requisite submissions on the aforementioned project -on skill development competence, our training centre has been shortlisted by Management & Entrepreneurship and Professional Skills Council (MEPSC), as their certified training partner. SecuServe Solutions LLP, the parent company, has a presence in several industries with strong footholds in about 240 hotels across the country. The training centre will leverage this reach of the parent company – by assisting placement of successful candidates. We also intend to hold hands with allied industries and reputed organizations to promote our skill development project. We are also assured by the accrediting government body for their assistance in promoting our project. 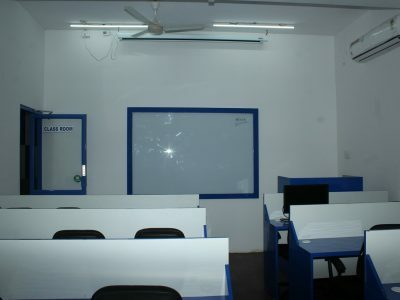 We have a well-equipped air-conditioned classroom with a capacity to seat about 20 students. The classroom also has all required paraphernalia viz., OHP, board, laser pointer, desks, chairs etc. There is a course related library which also has several IED models displayed. There is a pantry, a sit-out and toilets for ladies and gents. We impart the world’s only scientifically-based, individually adaptive training program for X-ray image interpretation in association with The Center for Adaptive Security Research and Applications (CASRA). 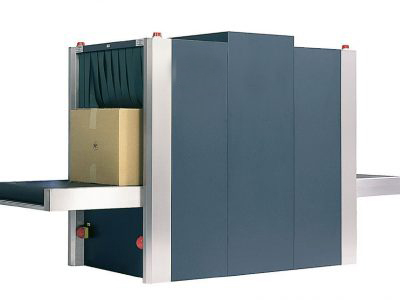 Baggage inspection system equipment used for training (to inspect baggage and small parcels) is an expensive equipment which clearly distinguishes a 24-gauge wire under the fifth step using a test step wedge. it also distinguishes between materials such as salt and sugar and all other parameters of the Combined Test Piece (CTP). 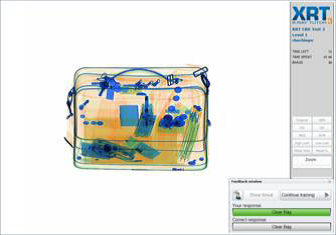 Monitor the effectiveness of x-ray screening procedures. 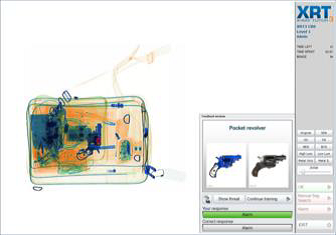 Give x-ray operators the opportunity to detect weapons and other intended / prohibited items with which they might not otherwise have contact. Tests on x-ray equipment used for screening shall be undertaken not less than once each calendar month. 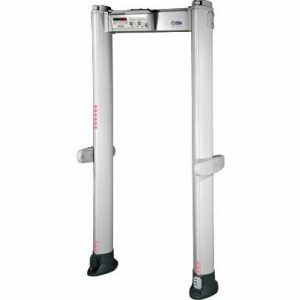 Door Frame / Walk-through / Archway Metal Detector (CEIA made, single zone) is used in personnel screening. It is capable of detecting an Operational Test Piece (OTP), constructed, approved as per standards and sold by equipment manufacturer, when a person passes through the equipment. It gives both an audio and visual alarm. 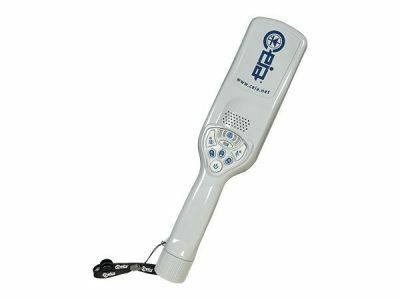 Hand Held Metal Detectors (HHMD, CEIA made) is a device that detects metal when held within 2 to 4 inches away from an object, by giving an audio and a visual alarm. The calibration of screening equipment is the responsibility of the training centre. Calibration detection standards shall be specified. All security equipment in use shall be operated in conjunction with manufacturers’ recommendations and individual standard operating procedures. The training head through the technical team, shall endure that preventive and fault maintenance schedules are instituted to ensure that all security equipment is operating at all times. The company shall ensure that suitably qualified technicians are available to carry out the necessary maintenance of all the security equipments. Education qualification –Desirable – Graduation, minimum – 12th pass. Age should be 45 years and below. With medically fitness certificate from Doctor – 55 years. Should have written and oral proficiency in English. Payment of the prescribed fees. Successfully complete the 40 hours classroom training. Successfully undergo the 80 hours on-the-equipment training under supervision. Maximum capacity per batch – 20 students.